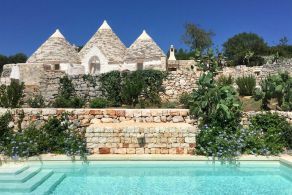 Trullo Blue Sky is in one of Puglia’s most picturesque locations: the Itria Valley, a plateau covered in ancient olive trees and dotted with trulli, the traditional local houses. 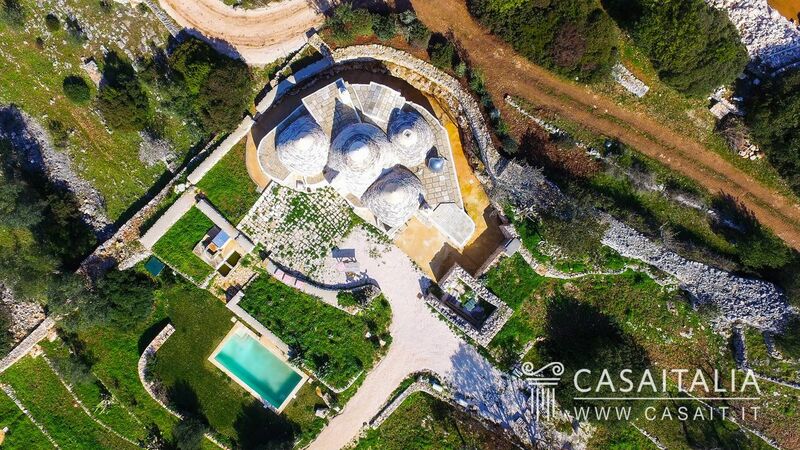 The building is in a hilly location with a splendid view of the countryside. 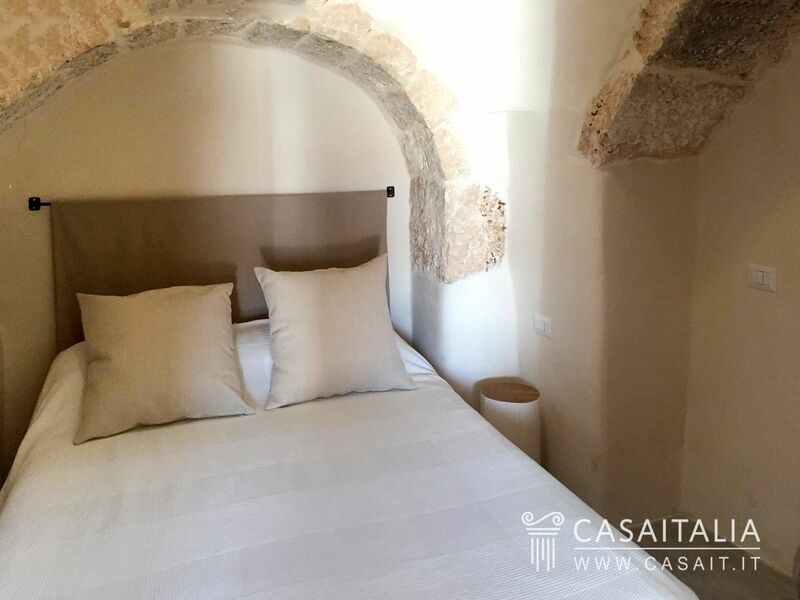 It is situated halfway between two of the Itria Valley’s prettiest towns: Ostuni, known as ‘the white city’ (around 9 km) and Martina Franca (13 km) both 10 minutes’ drive. The sea is just 15 minutes away, with a coast rich in dunes, unspoilt vegetation, soft sand and crystal clear sea. 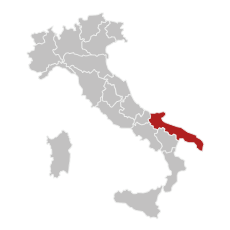 The location is also central in relation to Taranto (43 km) and Brindisi (46 km), around three quarters of an hour away. 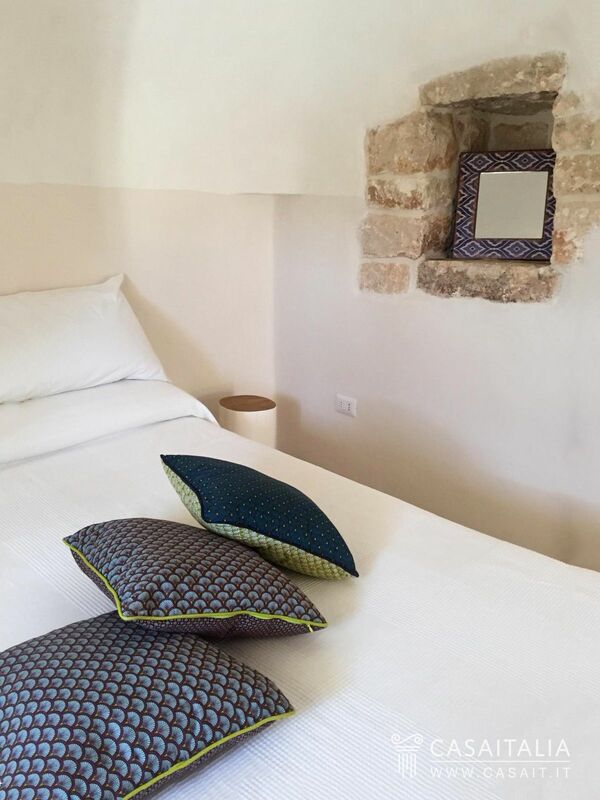 The nearest airport is also in Brindisi (48 km), which offers many daily flights to the international hubs at Rome Fiumicino and Milan, plus other national and international routes with Ryanair, Easyjet and Alitalia. 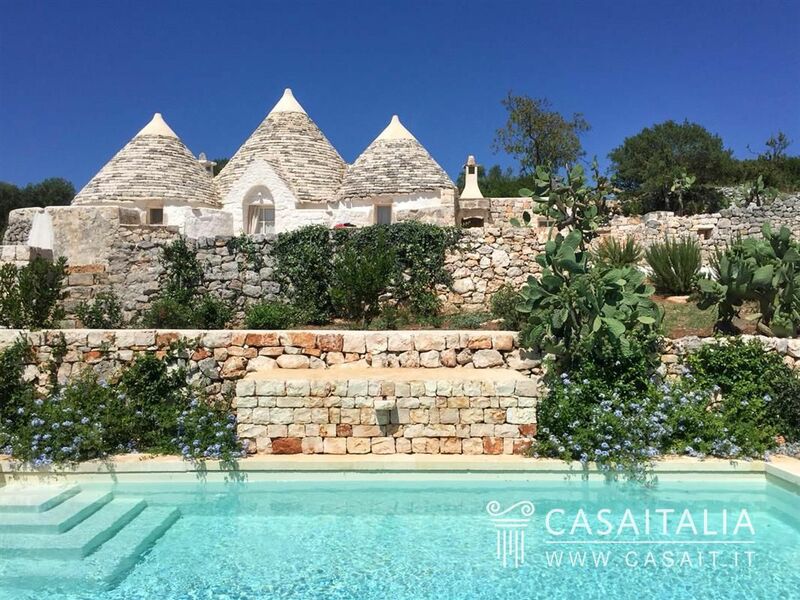 The trullo is comprised of four cones, measuring 101 sq.m in total, within which is the house comprising living room, kitchen, small sitting room with fireplace, two bedrooms, two bathrooms and a storage area with outdoor access. The restoration, completed in 2017, was carried out with one clear aim: maximum quality and respect for the original structure. 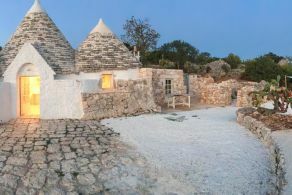 The construction techniques used to build trulli are ancient ones, and the challenge was to convert a rural building, built for working in the country, into a unique and comfortable home. 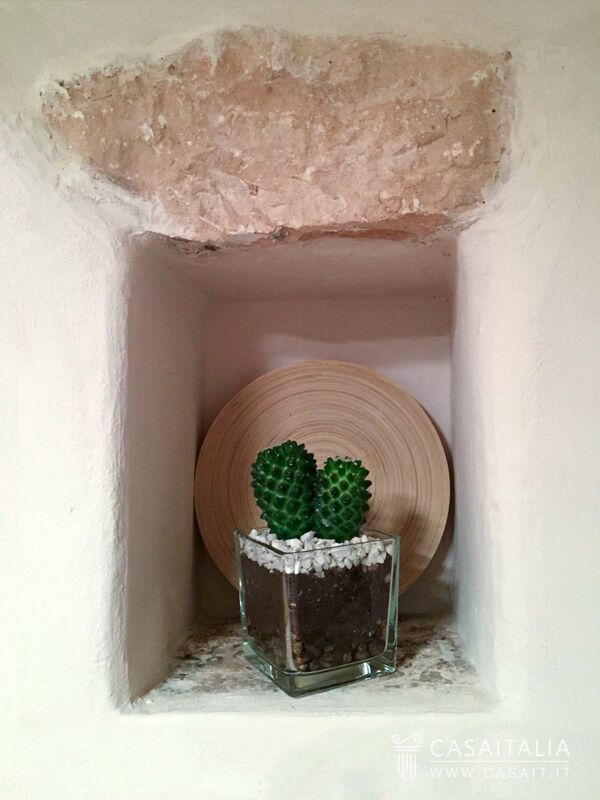 The picturesque stone walls have been matched with a cement/resin floor which creates an ideal foundation, a continuous surface which runs through every room and brings out the best of every detail in each space. 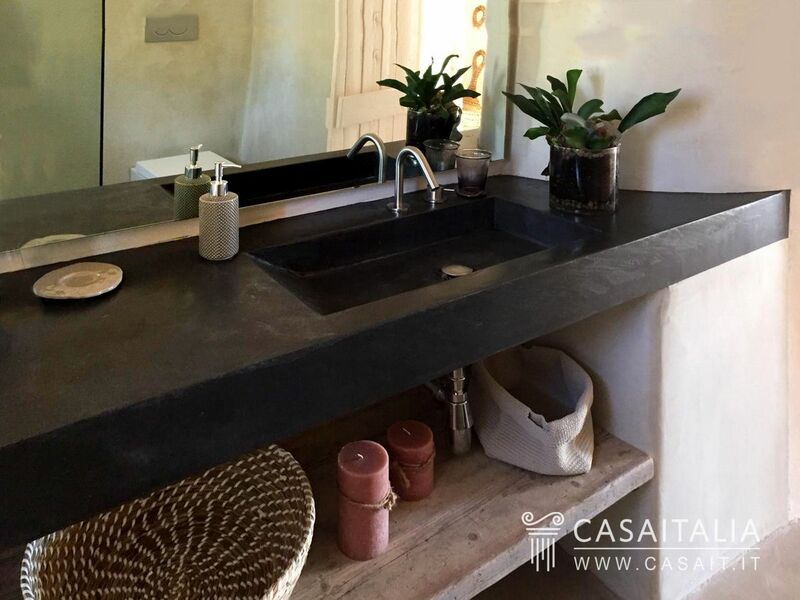 The resulting architecture has a strong, primitive character which is also elegant and simple, which perfectly embodies the principle of “wabi sabi”: the beauty of imperfection. It is in this way that the finishings, the simple kitchen and bathroom furniture, the arches and the ‘vaults’ of the cones, communicate in perfect balance, providing a sense of harmony to those who live there. 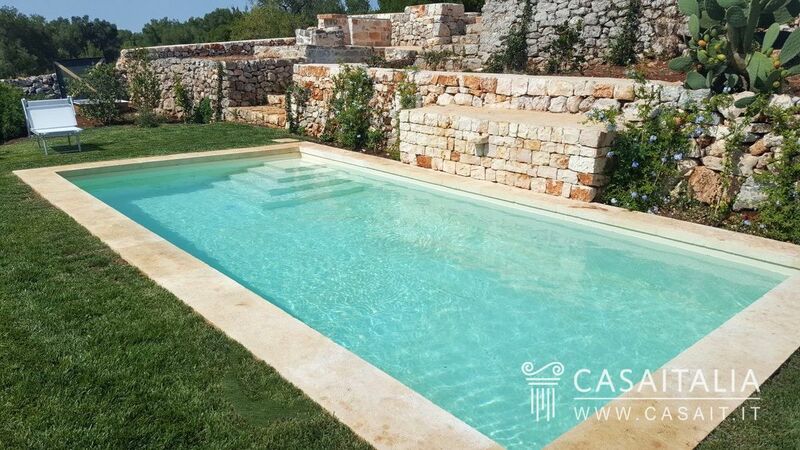 The building is surrounded by around 3900 sq.m of private land, with a garden close to the house, and featuring various spaces spread out over various paved levels, with picturesque drystone walls. The entrance opens out onto a pretty stone patio, ideal for outdoor dining. 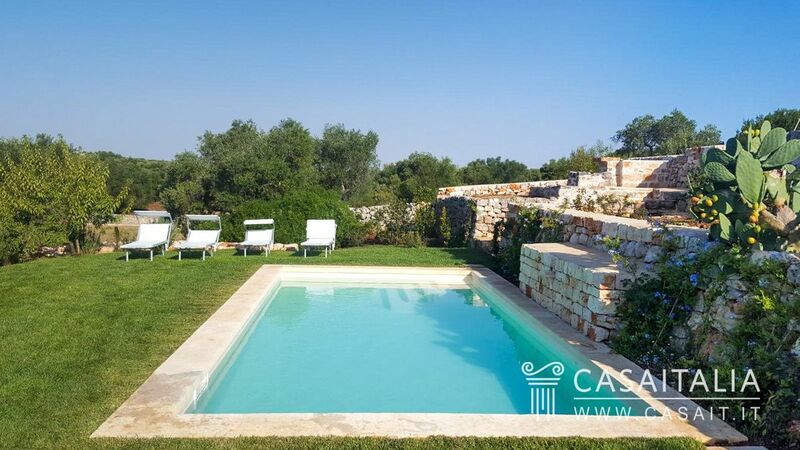 A little lower down there is the swimming pool, also finished in white stone, situated in a panoramic and secluded location overlooking the countryside. 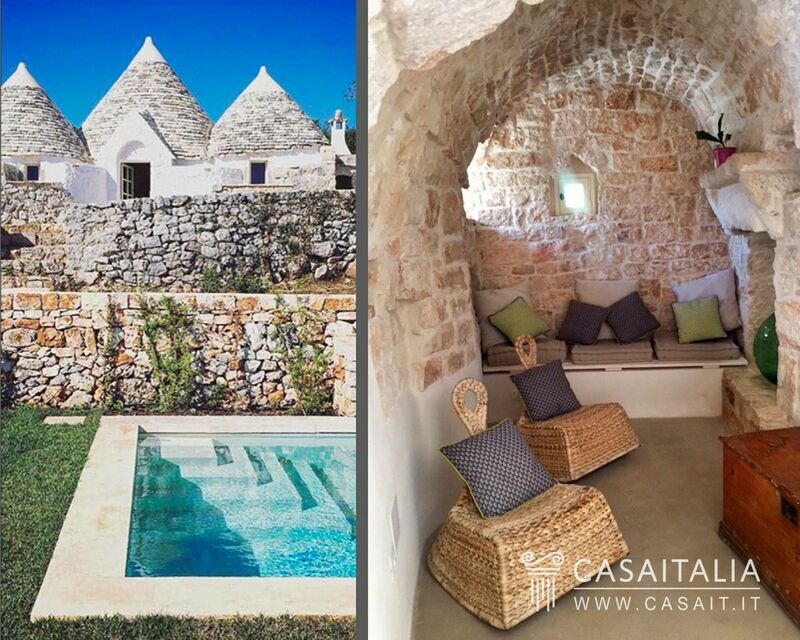 The trullo is a welcoming, peaceful retreat, ideal for spending time on holiday and relaxing. 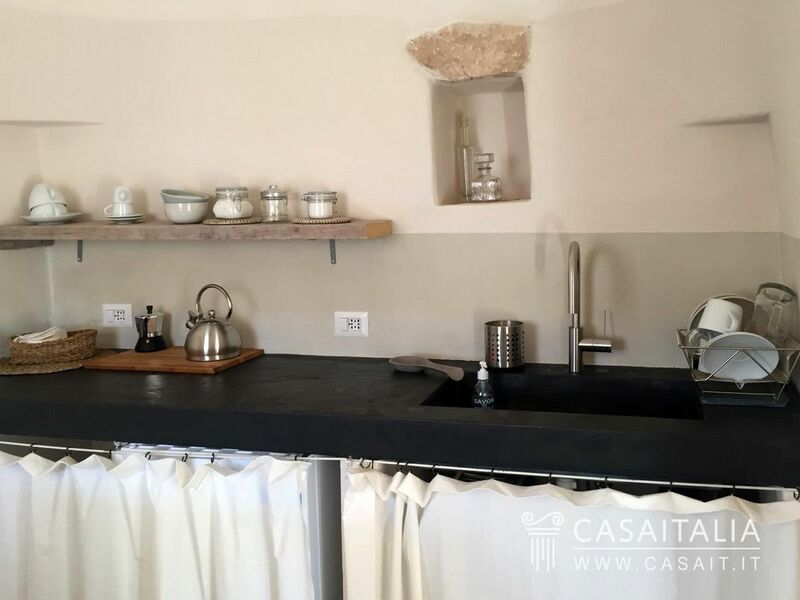 The building is easy to manage and maintain, in the countryside but a few minutes from the sea and the magical historic centres of Ostuni and Martina Franca. 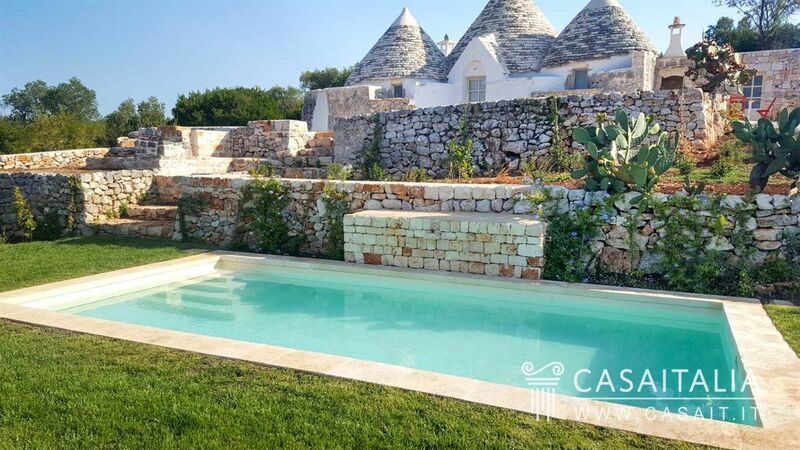 These features and the fantastic connection with nearby Brindisi airport also make this property perfect to generate an income, by putting it on the weekly holiday rental market when it is not in use. 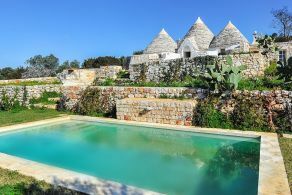 Main centers: Lecce, Gallipoli,Tremiti Islands, Gargano, Salento. 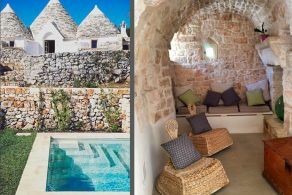 Characteristics: is a region of southern Italy, famous for its beautiful beaches that alternate with sheer cliffs (the coast of Salento, Gargano, Gallipoli). The region boasts in fact 860 km of coastline bathed by an enchanting sea. 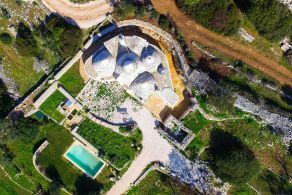 Characterized by enchanting art places, with throughrock-hewn churches, Romanesque cathedrals, ancient castles and baroque buildings, are enriched with wild nature, with national parks and protected areas. 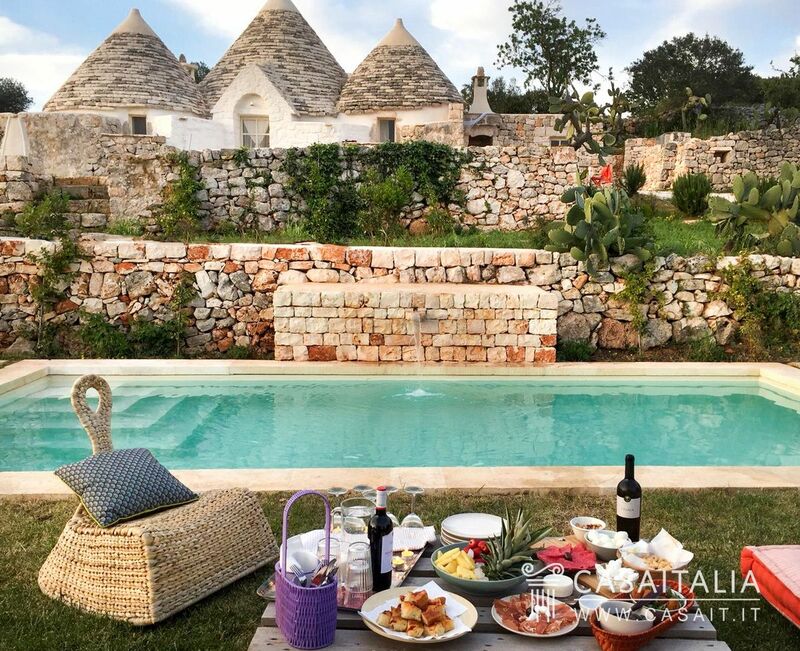 Apulia is also known for offering high quality food and wine, ranging from extra virgin olive oil to wines, from Altamura bread to the local sausages. Famous large expanses of olive trees. The climate is typically Mediterranean, with warm summers, mitigated by the sea breezes, and mild winters. 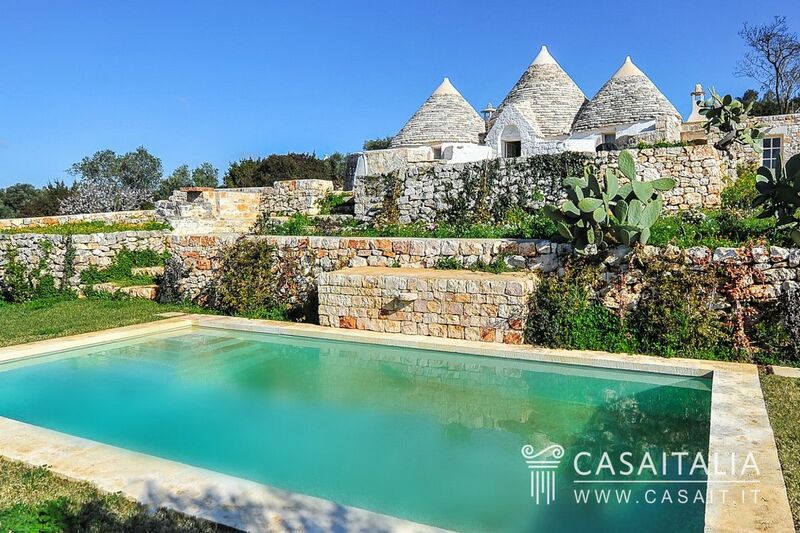 Property offer: The Typology that best characterizesApulia is that of trulli, traditional rural buildings with cone-shaped roofs made of stone, especially found in Itria Valley and in the area of Alberobello. 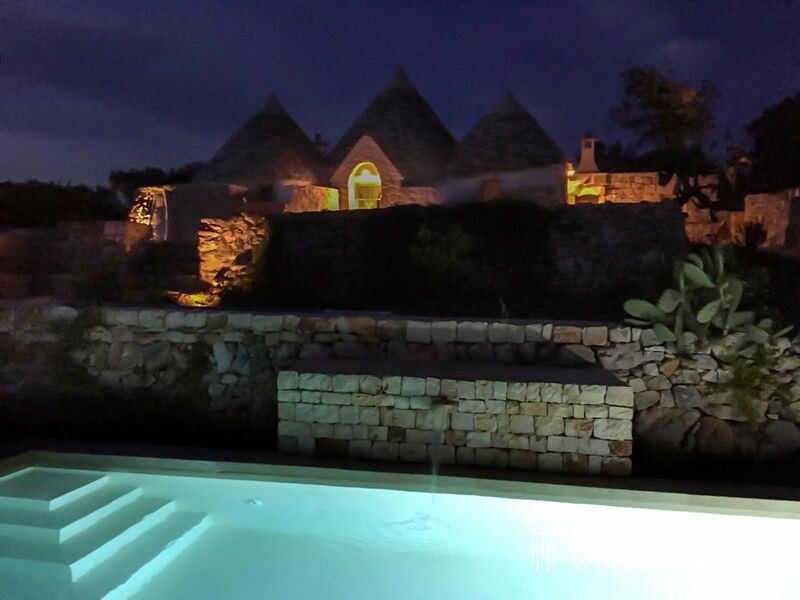 Trulli are flanked by structures of greater importance like the ancient farms, the villas overlooking the sea in Gallipoli, Otranto, Ostuni; the sumptuous Baroque buildings and farms of olive grove and vineyard.